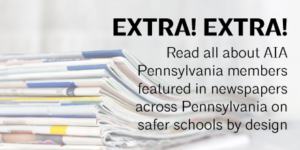 How will Pennsylvania’s architects design new schools and adapt our existing schools in response to a world of shelter-in-place, active shooter drills, and lock-down classrooms? 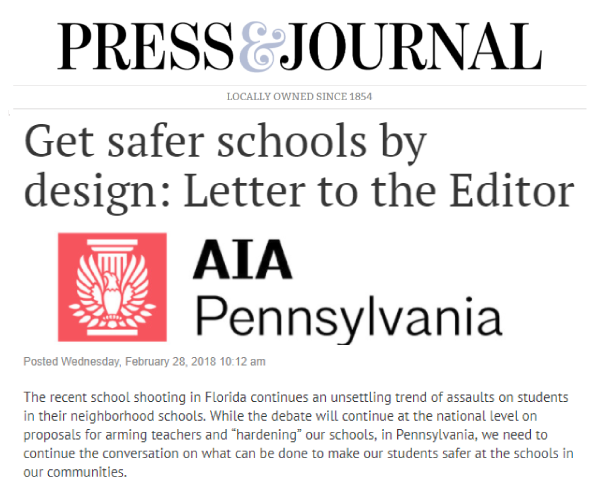 AIA Pennsylvania President, Scott Compton and Michael Kelly, vice chair of the Education/School Construction subcommittee worked with AIA Pennsylvania to author op-eds on designing schools for safety that were picked up by several news outlets both in print and online last week. 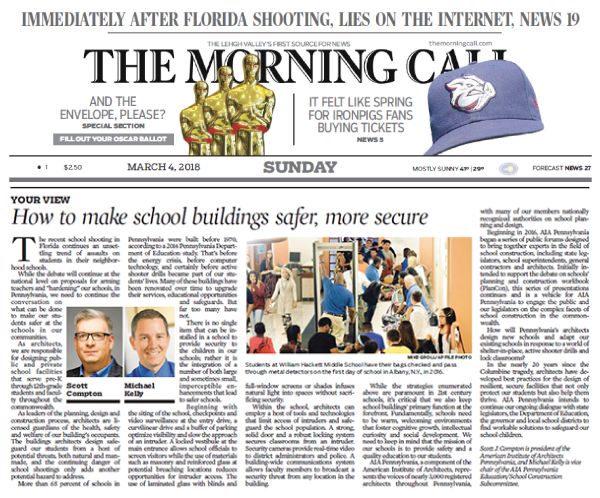 These op-eds position architects as thoughtful visionaries and problem solvers uniquely qualified to lead the charge to make our schools safer while still maintain a nurturing, and safe learning environment. 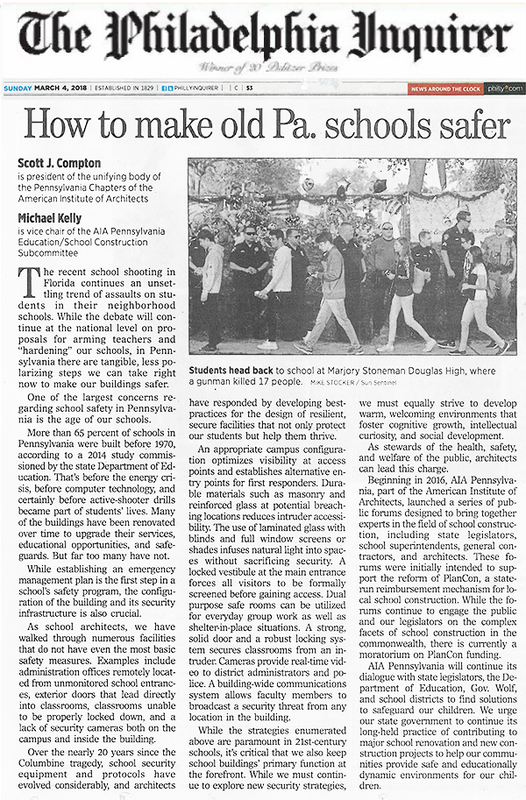 This media coverage is supplemental to AIA Pennsylvania’s legislative agenda and initiatives. 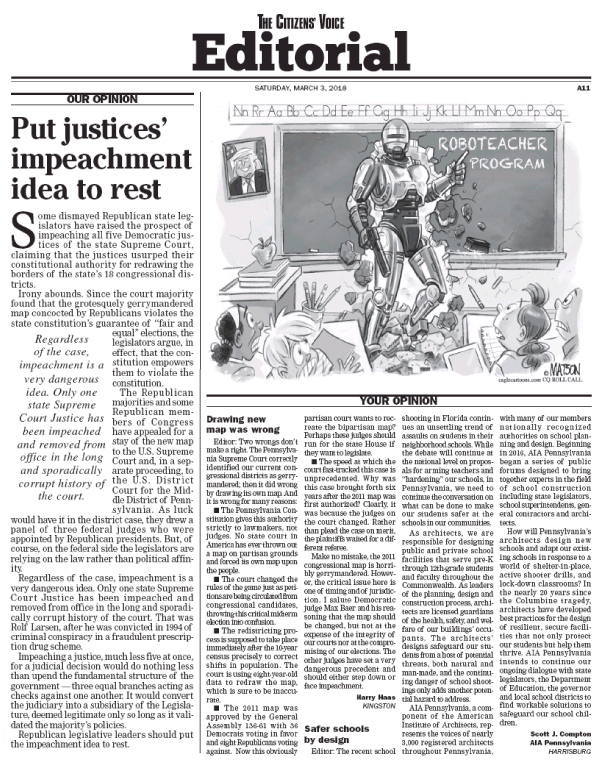 We continue to work for you and with you to raise our collective voice in the halls of the Pennsylvania State Capitol and in our communities. You are invited to lend your voice to the profession to advocate, educate, and participate on April 17th during Architects Action Day at the Capitol. Learn more and register by April 6th.